Collecting Asylum: Asylum Reviews; Outward [Xbox One]. 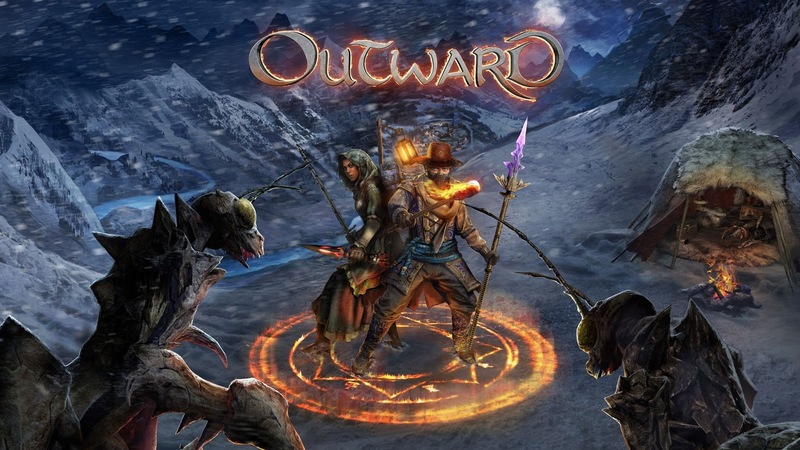 Asylum Reviews; Outward [Xbox One]. Ninedots' Outward sees you play as a simple commoner who has inherited his family's debt, with just a short amount of time (a few days, in fact) given to pay it off. Straightaway, Outward shuns the traditional archetypes of RPG protagonists and gives the player the added bond of realism to the character, and with it the dread of how being nothing but a simple, boring ol' human may impact you. Everything is a potential threat to your health in Outward. From the enemies to the harsh environments (and not wearing the proper attire), or even just eating rotten food, everything can play a part in your downfall. You need to plan your course of attack, or prepare for journeys to ensure you'll always have access to a food supply, in order to truly excel in this game. You're a breakable little human, and recognising this is the first thing you must do if you are to succeed. Running into fights unprepared definitely gives your enemies the upper hand, particularly in crowds. Being stealthy is usually the preferred - and safer - option, allowing for a little more advance planning and reducing the risk of being trapped and outnumbered. The game is far more survival-orientated than most other RPGs, and forgetting this will only make your journey more difficult and frustrating. It's the first game in a while that we've been able to play properly via split-screen. With the increased focus on online gaming, and particularly online multiplayer (battle royales, anyone? ), we've moved further and further from the classic days of couch co-op. What was once a staple of gaming has now been reduced to almost nothing, with most games opting to only include co-op gameplay via online rather than local split-screen; the days of chilling out with friends, huddling around the TV and delving into a story together is dying out. I've said it before and I'll say it again - I'm a panicky player. It really doesn't take much to startle me and have me lose all sense of how to actually play a game. I'll go from walking calmly to bouncing around in my seat and yelling obscenities at the screen. Having the ability to play local co-op means that my chances of dying unnecessarily are significantly reduced. Allan's support allows me to be the usual overly-anxious player I am, with minimal risk. He can wipe out a large portion of enemies and fend off my attackers with ease whilst I run around like a headless chicken, something he deserves praise for as he doesn't always have the patience to deal with a co-op partner such as myself, haha. Another benefit to playing co-op is that in this game, the survival element takes you all the way to your sleep requirements. Sleeping not only replenishes your health and stamina, and despite being a necessity it can prove quite difficult due to leaving you open to attack. There are three activities that can be done during the night: Sleep, fairly self explanatory, Guard - reduces the risk of being attacked at night, and Repair - which deals with the damage done to your weapons and items. In two-player, one of you can guard the whole night to allow the other to rest up, or you can take it in shifts. This helps to negate some of the vulnerability that comes with being asleep, and gives co-op players a bit of a boost compared to their single-player counterparts. 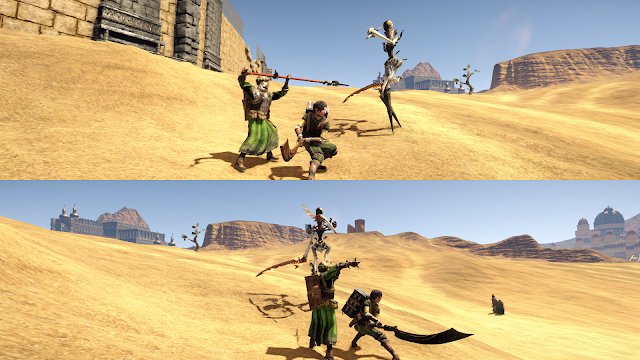 A neat feature of Outward is your backpack. As with a lot of survival games, you can only carry a certain amount of stuff with you on your quest. Backpacks can help you increase this capacity, with better, larger backpacks further improving this. The larger and heavier your backpack however, the more your mobility is affected. Once again, you need to have your planning hat on to be able to decide what is truly going to make a difference for you on any particular leg of your journey. If you get caught out in a fight, you can drop your bag instantly, allowing your mobility to increase and improve your speed. You'll need to remember to collect the backpack afterwards though, otherwise all of those precious items that you've been gathering are as good as gone. It's something we haven't seen in many games, especially to ditch the extra weight on the fly like this, and is a nice little addition to the game that we'd love to see more of. Combat is difficult and oftentimes slow and clunky. You will die a lot to begin with, and that's okay to some extent as you learn the ropes. The variety of ways you "respawn" can make things more intriguing, but having this happen over and over definitely becomes a huge drag. 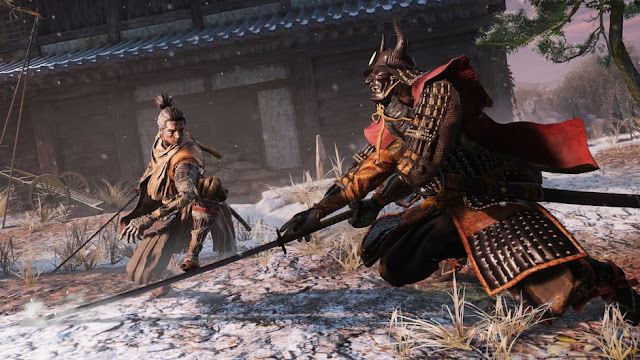 Things do eventually improve a bit, with the increase in skill and better weapons making things a little less frustrating, but you'll still find yourself cursing out the slow, floaty movements and non-connecting attacks. Playing in co-op definitely helps out with this as you aren't as defenseless with a friend there to help you out, but the slowness is still noticeable. Utilising magic is far more interesting and breaks up some of the monotony of fighting. 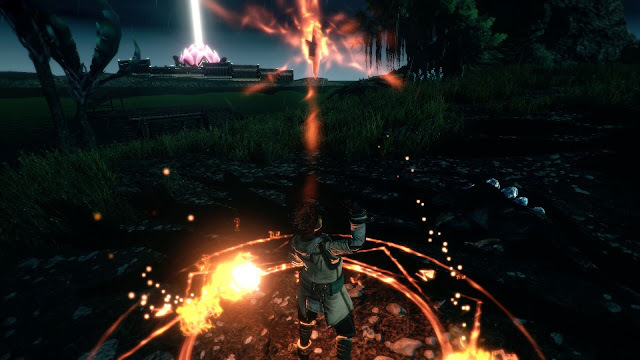 Learning runes and taking time to learn their combinations for specific spells is a sure-fire way to improve the gameplay for yourself as the battles become a bit more flowing and fun. Remembering the combinations can be a bit of a challenge but overall this feels more rewarding, and as we'd imagine real magic would feel due to learning through a fair bit of trial and error. Visually, Outward is a bit of a confusing mixed bag. Some things look fantastic, and other things look pretty bland and low quality. The settings are frequently stunning, and show a great amount of detail, but sometimes things just look a bit off. The creatures are varied and interesting, and have some truly impressive designs, but fighting them can end up feeling like a chore. Travelling across the vast world is similarly chore-like. With no fast travel system, or even a quicker method, getting from one place to the other can take what feels like forever and while this is something the devs have done intentionally, it doesn't make it feel any less boring. The soundtrack/score is fantastic, and fits the whole theme and style of Outward well - it's definitely one of the best parts of the game. Overall, Outward was an okay experience. It took quite a lot to get into it, and when we finally did, the jankiness was still enough to put us off a bit. There's been talk of quite a lot of bugs, which luckily we didn't run in to too many of, but the devs are still working hard to fix these so hopefully there will be other tweaks here and there that will improve the other issues we have with the game. 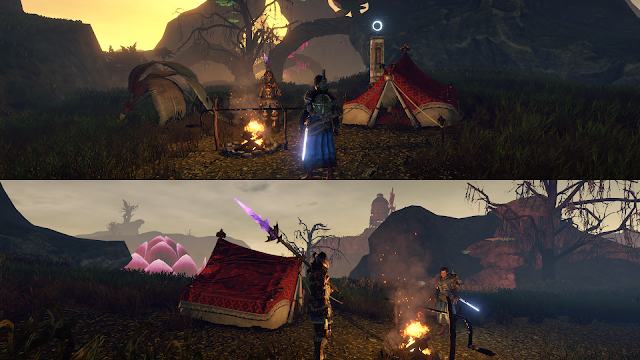 In the end, we decided to give Outward the Collecting Asylum rating of 6.5/10. Have you played Outward? What did you think of it?